We could not hold this conference and offer such an unbelievably low price to participants without the support of our sponsors and partners. Please take the time to read about them below. We will be adding more as the planning progresses! For sponsor information, please contact Reno Walsh at 888.758.8687 ext: 704 or sponsor@zephyrconferences.com. In your email, please mention “International Food Bloggers Conference”. Interested in showcasing your food product at our Live Food and Drink Social event during IFBC18? Click here for more information and to register. Please note we discourage events not included in the official agenda for a variety of reasons: they often are invite only, which is against the spirit of the IFBC; if planned during the IFBC they pull from our scheduled events; and they take advantage of the IFBC’s gathered attendees without supporting the conference itself. If you have an idea for an event before, during, or after the conference, please contact us to discuss sponsorship. If you would like to host a future International Food Bloggers Conference, please complete our Host Application. The Alaska Seafood Marketing Institute is a marketing organization with the mission of increasing the economic value of the Alaska seafood resource. ASMI is a public-private partnership between the State of Alaska and the Alaska seafood industry established to foster economic development of a renewable natural resource. Find them on Facebook, Twitter at @alaska_seafood, Instagram and Pinterest. Travel Juneau (formerly the Juneau Convention & Visitors Bureau) is a private, nonprofit organization dedicated to the visitor industry and its economic benefit to Juneau, Alaska. Travel Juneau’s primary goal is to increase the overnight stays of business and leisure travelers, who in turn support local businesses through their spending. Find them on Facebook, Twitter at @TravelJuneau, Instagram and Pinterest. In 1986, 28-year-olds Marcy and Geoff Larson opened the Alaskan Brewing Company, the 67th independent brewery in the country and the first brewery in Juneau since Prohibition. Alaskan beers reflect many of the same characteristics of beers that were brewed here during the Alaskan gold rush era. From the historically based Alaskan Amber recipe to alder-smoked malts and Sitka spruce tips, Alaskan beers reflect Juneau’s local brewing history and innovation. Follow them on Facebook, Twitter at @AlaskanBrewing and Instagram. Visit El Paso is responsible for destination marketing for the City of El Paso and includes Convention Development and Meeting Planning Services; Tourism Development to include management of two Visitor Information Centers, as well as advertising and media relations. El Paso Live is responsible for venue and event management for City of El Paso-owned venues: Judson F. Williams Convention Center, Abraham Chavez Theatre, Plaza Theatre Performing Arts Centre,and McKelligon Canyon Amphitheatre & Pavilion. Each operating division is represented as a brand with its own website and social media presence. Follow them on Facebook, Twitter at @visitelpasotx, Pinterest and Instagram. 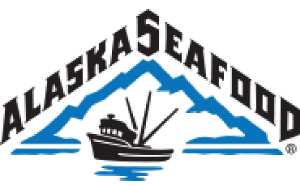 The Alaska Cabaret, Hotel, Restaurant and Retailers Association is a non-profit corporation, dedicated to serving the needs of the hospitality industry in the state of Alaska. The Association provides training programs, membership services, legislative and government relations, informational services, and promotes the industry for its members. Follow them on Facebook, Twitter at @alaskacharr and Instagram. 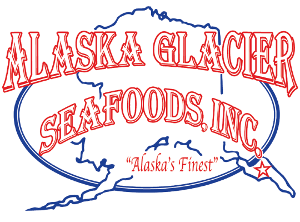 Alaska Glacier Seafoods, Inc. is owned and operated by the Erickson Family: Mike, Bonnie, Jim and Kristie. They started the company back in 1996, as somewhat of a hobby, selling a few pounds of side-stripe shrimp that they caught in a 14-foot aluminum skiff. Today the company processes over ten million pounds of fish annually. Follow them on Facebook and Instagram. Amoretti is a California based company specializing in super concentrated natural infusions for artisan craft beverages, pastries and savory delights. Sourcing the freshest and tastiest fruits, herbs, spices, chocolates, vanillas & peppers from around the world, paying meticulous attention to quality & consistency to ensure an impeccable, creative, consistent product every time. Find them on Facebook, Twitter at @amoretti, Instagram and Pinterest. Headquartered in Alaska with additional locations throughout the U.S., GCI has worked for more than 35 years to deliver communication and technology services to some of the most remote communities and in some of the most challenging conditions in North America. GCI is a pioneer in its field, bringing telemedicine and online education capabilities to communities across the state and continuing efforts to connect the Arctic globally as well as providing strong services to consumer and business markets. GCI’s introduction of 1 GIG internet speeds in the state as well as its innovative partnership with Apple are among the countless ways the company has transformed communication and quality of life for Alaskans. Follow them on Facebook, Twitter at @gciak and Instagram. Juneau Food Tours feeds your belly AND your mind! The tour includes a historical walk, as well as true Alaskan food! The company is run by long-time IFBC alumna Midgi Moore and will be offering two Pre-Conference Excursions at IFBC19. Follow them on Facebook, Twitter at @juneaufoodtours and Instagram. Premium fish we catch ourselves and ship right to your door. Sena Sea is the culmination of our families multi-generational fishing history, our desire to share the premium fish we catch, and our commitment to ocean stewardship. We provide wild sustainable fish that we catch ourselves, so you can know exactly where your fish comes, how it was caught, and even who caught it. From the pristine waters of Alaska, direct to your table, we deliver quality seafood in the most sustainable and ethical way possible. Follow them on Facebook and Instagram and download a free cookbook here. 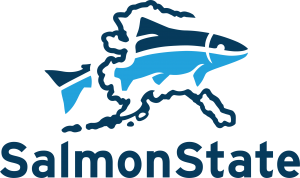 SalmonState is an Alaska-based nonprofit working to protect Alaska’s wild salmon for future generations. We work with salmon stakeholders around Alaska and the U.S. to advocate for protection of critical salmon habitat, promote fish-friendly policies, and celebrate Alaska’s wild salmon and wild places. Follow them on Facebook, Twitter at @SalmonStateAK and Instagram. Your conference organizer is Zephyr Conferences. In addition to the IFBC, Zephyr Conferences also organizes the Wine Marketing & Tourism Conference, Wine Bloggers Conference, Beer Now Conference, and Beer Marketing & Tourism Conference. Zephyr Adventures, our sister company, operates trekking, hiking, biking, and multi-sport tours throughout the world. Zephyr’s active wine tours specialize in getting travelers up close and personal with not just the wineries but the vineyards of the world. In addition to Zephyr’s active tours, Taste Vacations runs beer, wine, and food tours around the world which leave the physical activity at home.